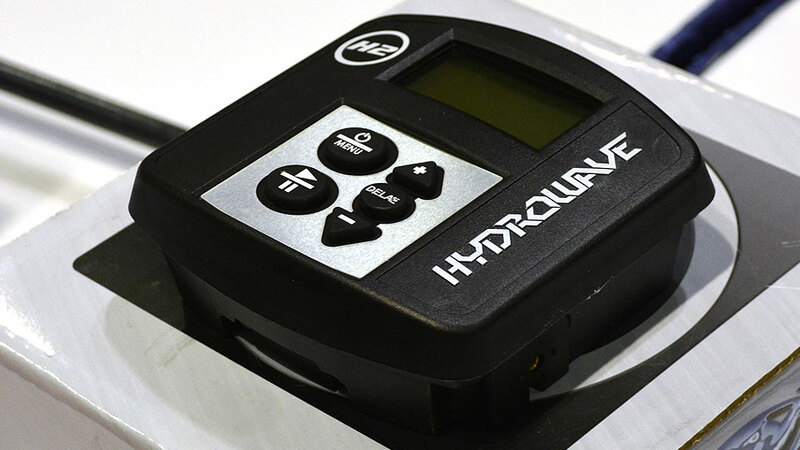 The new Hydrowave H2 features upgrades aimed at helping fishermen experience a better and easier day of fish catching frenzy. Building on Hydrowave’s legendary electronic discovery of how to emit the sounds of predatory fish putting on the feed bag down in the water, the new Hydrowave H2 features upgrades aimed at helping fishermen experience a better and easier day of fish catching frenzy. Built on fishing science, the H2 sends out reverberations to a predatory fish’s lateral line, sounds that help to trigger a fish’s feeding instinct. With the sound planting a seed in a fish’s brain that other fish are feeding and beating it to the punch, the result is often an aggressive strike when a hapless bait wanders by.